Turn over any natural or natural-leaning product and you will almost certainly see one or more certifications printed on the back. Manufacturers use certifications to demonstrate that a trusted third party has verified something about their business or brand. This is extra important in the natural products industry because these shoppers value transparency. As an independent pharmacist, you should be aware of the various certifications out there so if a patient asks you about what one means, you are prepared with an answer. A few weeks ago, I outlined five certifications including USDA Organic and Non-GMO Project Verified. 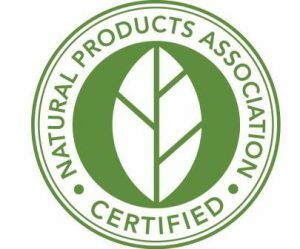 This week I will share three more: Natural Products Association Verified, Ecocert, NSF Certified, and QAI Organic Certified. This symbol helps your shoppers become more educated about ingredients and processes considered natural. It gives consumers the information they need to easily identify which personal care products meet the NPA’s standard for natural to facilitate decision making. There are also third-party certifications available for natural cosmetic manufacturers, including Ecocert, first introduced in 2003. There are Ecocert offices in 24 countries and service is provided to more than 120 countries. Over 1,000 cosmetic companies have gone through the certification process. Ecocert Organic – the product has at least 95% plant-based ingredients, and at least 10% of all its ingredients by weight are organic. Ecocert Natural symbol – at least 50% of the ingredients are plant-based, and at least 5% of all its ingredients by weight are organic. 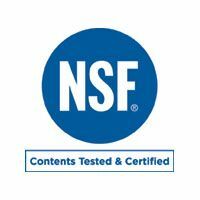 Products with the symbol are verifying the identity and quantity of dietary ingredients declared on their label; ensuring the product does not contain unacceptable levels of contaminants; and demonstrating conformance to currently recommended industry GMPs for dietary supplements. This helps consumers shop supplements more confidently.